Magnus is a well-known lecturer at technical conferences around the world, hired to share his knowledge, passion and enthusiasm. Magnus's main focus is Office 365 and security around Office 365. 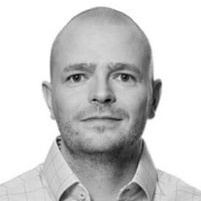 2014, Magnus founded Altitude 365 and works everyday with primarily major Swedish customers supporting them in their digitalization. Magnus has received the Microsoft Most Valuable Professional Award 8 times in a row. His first MVP got 2009 for his skill in Exchange and since 2014 he is MVP in Office 365. Connect to Magnus on LinkedIn. Liquid error: Cannot paginate collection 'author.programs'. Not found.